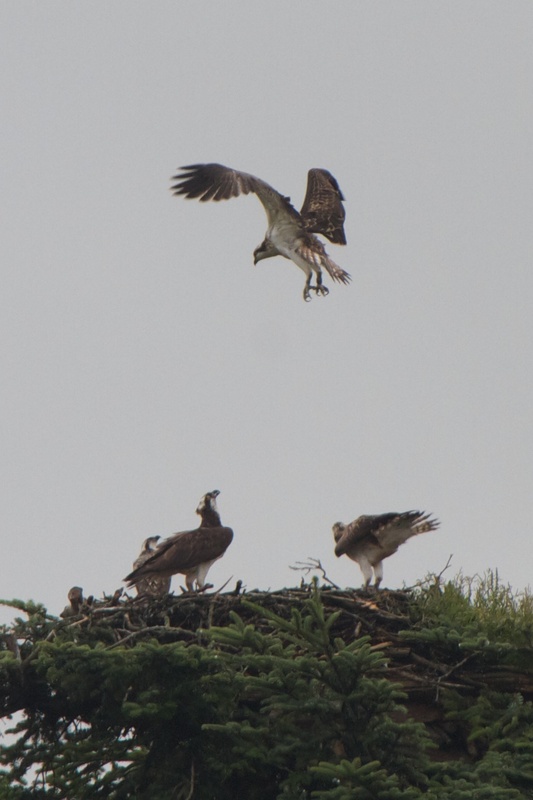 A great footnote to the end of another osprey protecting season! Yesterday evening I was ecstatic to see the news that a Glaslyn chick from 2012 had been caught on camera at Dyfi. Whilst I’m sure this is a brilliant news for everyone involved in the great Glaslyn osprey project, for me it was quite personal. 2012 was the first year I volunteered at Glaslyn and this is the first time that a chick I have helped to protect has made it all the way back to Wales. In 2012, I spent a total of four weeks on the Glaslyn as part of a year off work I had taken to do some ‘conservation stuff’. I have so many great memories of those four weeks, from the male treating me to a ‘fly-by’ on my first visit to protection, to seeing the chicks for the first time, and from going to bed fully clothed after a night shift as I couldn’t defrost, to finding the Porthmadog wonder that is Dark Side of the Moose…not forgetting the people I met and the friends I made (of course!). Seeing the successful fledging of another brood of young welsh ospreys is an immediate sign of success for all those who have spent many day and night hours watching over the Glaslyn nest, in all weathers (and, this year, some sun!). However, for me, personally, the knowledge that one of the chicks I helped to protect not only successfully fledged but lived through its first two years to make it all the way back to north Wales is the real sign that what the volunteers do at Glaslyn really makes a difference. Here’s to you Blue 80, you’ve made my osprey protecting season!!! P.S. A young Blue 80 is one of the birds in the picture below!